How can i make my pc faster without any software? How can i speed up my laptop with software? My pc is running very slow. What is the solution of slow running pc? 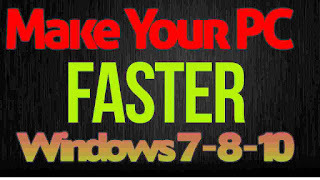 How Laptop PC becomes Slower ? So lemme explain you something first. You should have a little knowledge about how our systems become slower eventually and by time. There are several reasons which i cannot list all but i will show you some of them which are the main causes. 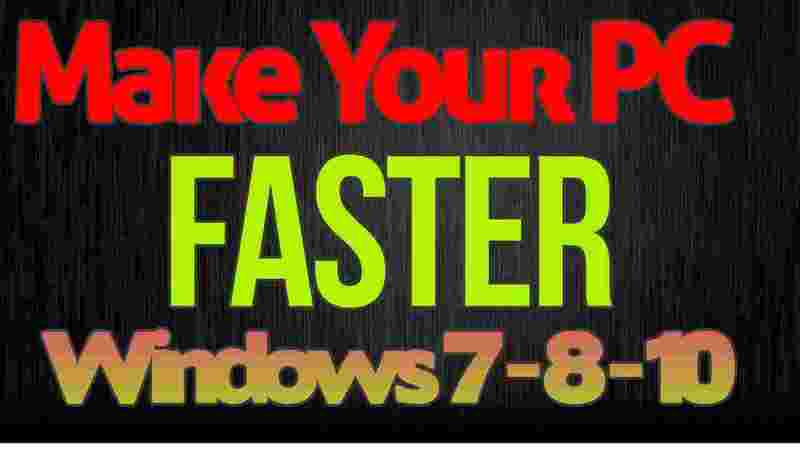 Your PC get slower due to un important software applications installed and many of them are automatically installed when we are installing some unknown softwares.We have the solution. You have never DEFRAGMENTED your hard drives so it may cause your system to run files slow. You PC might be slow due to many background applications running. It might get slow due to low hardware resources. It might get slow due to some bad activity of viruses. Might get slow due to cache files and old history files saved. Your system drivers may also cause problems. Before using softwares , keepin mind that if we are going to use an application or software to speed up pc or laptop, first we should make clear that the software itself has no bad effects on our computer.I have seen many people using heavy softwares which causes their pc's to run slower even after doing all the stuff. So never use following programs untill you have a good laptop or high specs computer.These softwares are heavy for slower pc's. 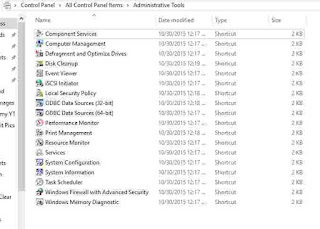 You can do all above methods without using any software also but for convinience, you can use above software and after that , go to Control Panel\All Control Panel Items\Administrative Tools and here you will find all the tools which are used to speed up your pc but all we need is just Defragment and Optimize drives tool.I will show below how to optimize drives and use defagment tool later but first let me discuss some other useful things. After clean up, restart your pc.Restarting computer solves many problems and clean some files automatically.Now do a fresh restart. Don't keep much files on your desktop screen. Only keep useful things on desktop and manage the files in folders.A lot of files on desktop make your desktop loading slow so delete or manage files that you don't usually use. 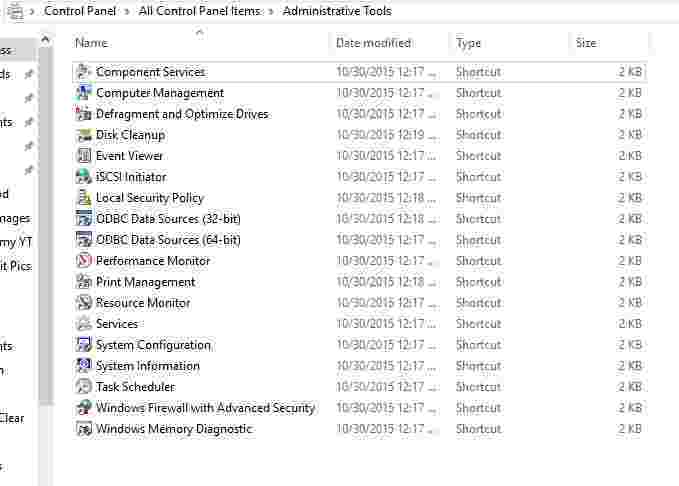 Open task manager of your pc and kill those apps which are using your ram and memory but are not worthy . Most common are IDM , OneDrive , Skype etc.Kill them because when you want to work, they are not necessary that much but if you decided to use later, then you can re open these applications any time from search. Disable battery saver because in new systems, many people use battery savers which reduce CPU usage by 40 to 50% which is not good when we want just performance. I have another method discussed in this video on how to disable all the visual effects and speed up your computer 200% but in this method, you will have to disale visual effects.Watch the below video too to have knowledge of all working methods. This tools is known by every developer who know programming or even little about computers.Defragment is the cleaning of your hard drives as same as our mothers do cleaning in our homes.You will be wondering what rubbish am talking about but its true.Defragment is cleaning of files same like we do cleaning in our homes by putting things up , clean the surface and place that at the same place.Its mean during defragmentation, your hard drive surface is cleaned by putting files from their location and after cleaning process, place them back at their locations.So you may have now understand what defragmentation is all about. You may be thinking why there is need to clean the surface of files meaning hard drives.So the answer is Yes. It is compulsory to do defragmentation once a month to keep your pc running fast.Same like dust in our homes, hard drives also contain garbage of files which need to be cleaned.So now i will show you hpw much simple is that.All you need to do is wait and have patience untill it completes. In modern systems, which have Auto updates enabled, defragmentaion is automatically done in the background once a month but for satisfaction, we should do it once a couple of months.So its simple. Just open the defragmentation tool as shown in the image above and hit analyze. Analyze it first, if any of your disks needs defragmentation then windows will show you the recomendation to do it. If percentage is less than 5% than no need of this. After analyzing, click defragment or optimize and wait untill it is completed and after that, you will have super charge fast laptop pc or desktop. Did Your Slow PC Issue Fixed? Did You Feel any Performance Change?